'Niagara's Premier Practice Area' and home to The Sawmill Experience! Sawmill has a large hitting tee which will accommodate 50+ players. We offer new Pinnacle full-flight golf balls. There are 6 bent grass target greens and a practice fairway bunker. Yardages are posted daily to the coloured flags on all greens. There are 150, 200 and 250 yard makers, as well as short game targets under 100 yards. The range is over 300 yards in length and 200 yards in width. "Why spend 100% of your time practicing from flat lies when 85% of your shots are played from uneven lies?" There is a new mound (beside the fairway bunker) to practice uphill, downhill and sidehill lies. We also have a separate private lesson tee. The lesson area will include artificial turf and a covered section (coming soon). *Range memberships can be purchased in the Sawmill Pro Shop once we're open for the season. - Range is closed for ball picking / grass cutting from 7pm Tuesday until 10am Wednesday weekly. - Memberships and 10 packs are not transferable. - Maximum of 2 large buckets per day. - Range closes on Thursdays (June to mid August) at 6pm for Junior Golf. 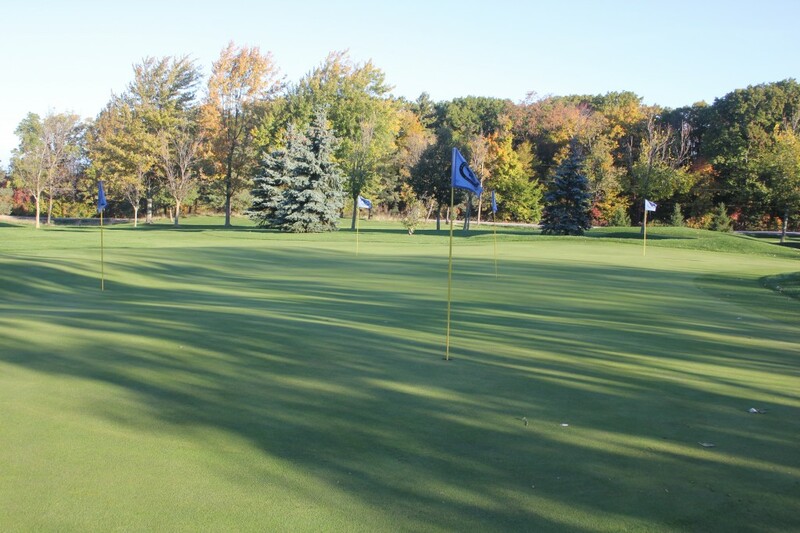 Sawmill’s short game practice area features a 75 yard fairway, a large undulating green and two green side bunkers. Driving nets are also available. 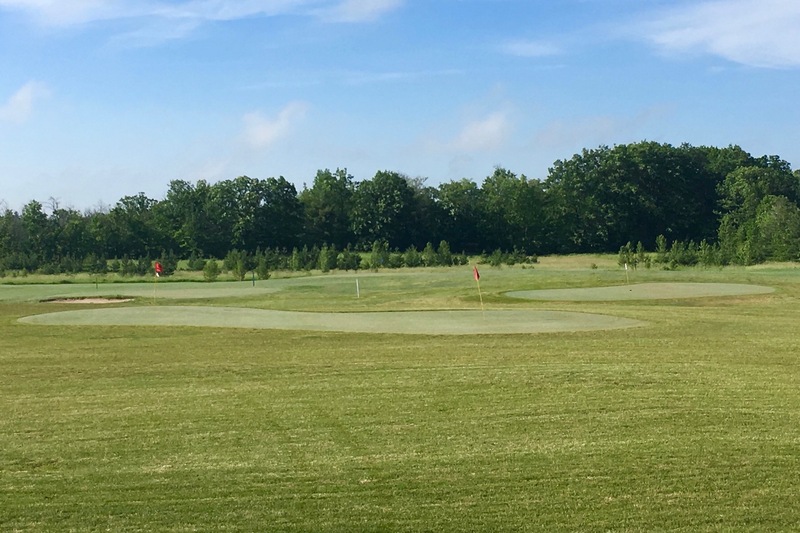 Sawmill members and guests are invited to use the short game area free of charge.